With hindsight, attempting to clamber back into the saddle three wines down was bound to end badly. I don't even drink at lunch. No, really. Just as my left foot hit the stirrup iron and I went to lunge off the ground and leap aboard in one graceful movement (in front of about, oh, 20 bystanders), my mount Coltie sidestepped that critical half-inch – just enough to see me come floundering down. 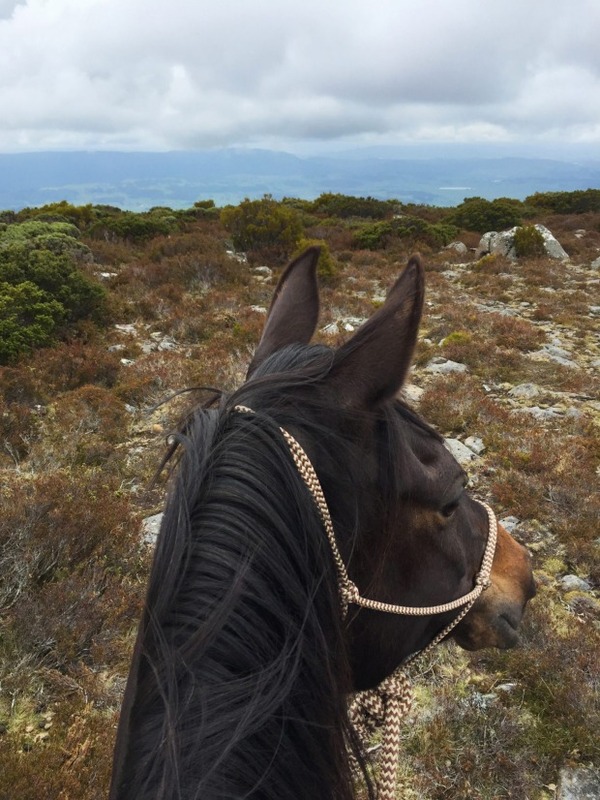 Packing for a four-day horse trek through Tasmania's rugged central north near the aptly named Meander River, I thought I'd covered all contingencies: from SPF50+ sunscreen to neck-to-toe oilskin, gloves, riding helmet still in warranty, boots with heels and fine-seamed jeans that wouldn't chafe. The prospect of drink-riding never occurred to me.